From time to time, we have been asked to write books in the superyacht field. These specialised projects have involved us working with some of the most creative minds in this already creative field. 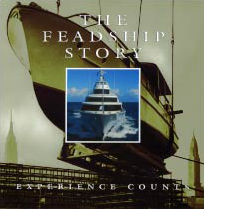 Published in 1999, this book documented the golden jubilee of one of the world’s leading custom motoryacht builders. Has remained an industry reference book ever since. 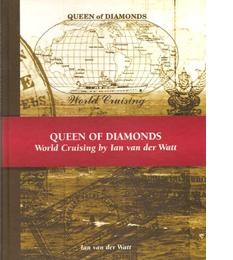 The global adventures of the Feadship Queen of Diamonds, written in partnership with the yacht’s skipper Ian van der Watt and published in 2001. 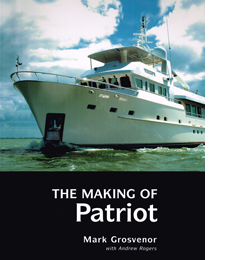 This 2003 publication covered the various processes involved in the construction of the motoryacht Patriot at Bloemsma van Breemen and was written together with her owner Mark Grosvenor and captain Ron Le Pard. 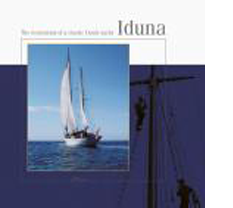 Published in 2004, this was the first of two books written for the Dutch entrepreneur Johan van den Bruele. It records the fantastic refit in Italy of the 1939 Feadship Iduna. A few copies are still available if you contact us directly. This groundbreaking project was completed in 2006 and described as one of the best books ever written on a single yacht by Boat International. 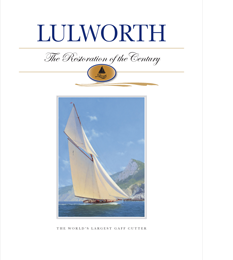 Taking two years of extensive research, and involving many visits to Italy and England, the publication was created with Lulworth’s owner Johan van den Bruele and project manager Giuseppe Longo. Documents the voyages of the eponymous motoryacht (built by Heesen Yachts) between 2001 and 2010, and was written together with her owners. Voyages of M/Y AlumerciA was published in 2011. This mainly pictorial book about the creation of the sailing yacht Athos was published in 2012 and captured the incredible photographic work of Gert Veenman.